Why Mold Grows in Carpet? First, we’ll explain mold and carpet mold in more detail. 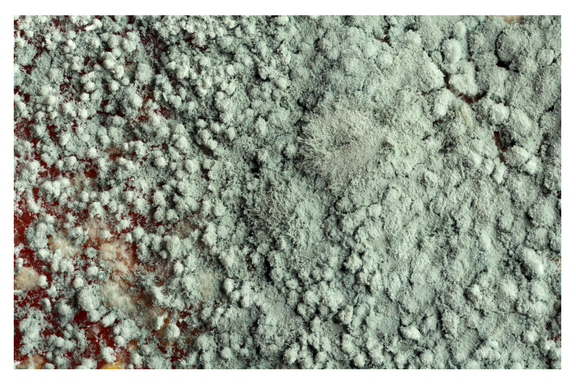 There are quite a few types of molds and colors of mold. Each type has its own unique color and composition and some types are worse than others in terms of odor, health effects and property damage. The most dangerous type of mold is black mold and it requires a total home remodel or removal of all impacted décor and materials. Mold often grows in wet or damp locations in a home that are humid. This means it is common to find mold in a basement or in rooms that don’t receive enough ventilation. Moisture is the reason that mold often grows on carpet. This is why it is so important that your carpet is rarely if ever wet or damp for extended periods of time. A carpet in a home becomes wet from humid weather or water damage from extreme weather or leaks in a roof or plumbing. Another reason carpet becomes wet is from hiring carpet cleaners that saturate and soak the carpet and then do not properly rinse their solutions and extract the water. There are Beaverton carpet cleaners that use far too much water throughout their cleaning service. Inexpensive cleaning equipment and rental machines need excessive amounts of water to operate properly and they need soap too. Soap then needs to be rinsed from carpet and that requires a lot of water too! Too often, the machines do not remove enough of the water and the carpet is wet for too long. Then odors will start to rise from the carpet and this is when mold might start to grow as well. Fortunately, there are carpet cleaners in Beaverton as well as Lake Oswego and Tigard that don’t use so much water to effectively clean carpet. Hello Carpets & Floors hires IICRC certified technicians and employs methods that are industry-approved and recognized as effective and safe for carpets. Our process will remove dirt and soil from carpet without the need for mass amounts of water. The less water means the less chance of wet carpets after and almost no chance of mold growing in carpet. In the end, it is possible to prevent mold from growing in your carpet if you ventilate your home with ceiling fans and floor fans, inspect your roof and plumbing often to ensure there are no signs of leaking and schedule appointments with Hello Carpets & Floors in Portland, OR.